How Long Do Chaga Mushrooms Last? We all want the best things in life to last as long as possible. When it comes to our health and complementary supplements its best to use when needed, and keep an eye on best before dates. But how long do Chaga Mushrooms last? Does it have a shelf life? The best thing to do is be aware of any ability to store freeze or otherwise. This enables you to enjoy your chaga for months and years to come. 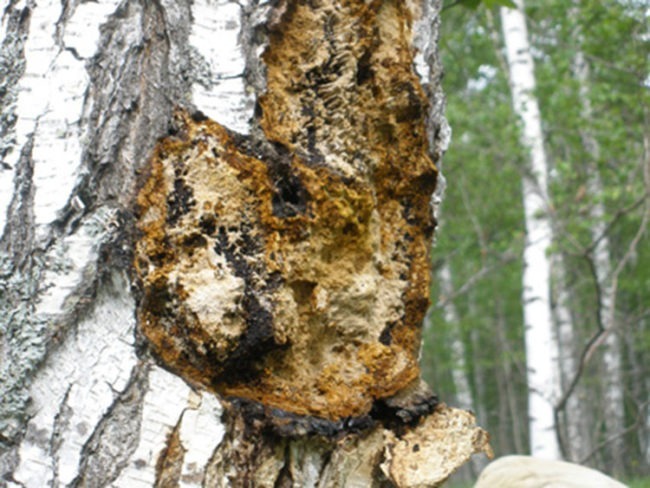 Chaga mushrooms are born of the birch tree. As a parasitic grows this king of herbs grows over a period of many years, resulting in nutrient rich health assistance. Full of antioxidants, in fact one of the highest providers of antioxidant foods, chaga offers us a tonic in its rich brewed tea. Full of immune system support, stress help and various vitamins and minerals we look to chaga as a wellbeing contributor and a natural patron for better health. Consequently, chaga is now revered as a new superfood. This this diamond of the forest sits happily among the vegetables, herbs and berries trendy the same classification. But chaga mushroom and is derivative products are no trend. In fact, chaga as an ancient healer, was widely recognized by civilizations before ours. On first look chaga mushrooms look like something in which to be wary. For the uninitiated, the growth, or conk, looks unrecognizable as a healer of any kind. However, beneath the rough outer lies a flavoured and nutritious substance aiding in the wellbeing of people across the world. So beneficial is the chaga mushroom that great care must be taken to ensure it is stored correctly. Chaga can last sufficiently for general use when stored with its best interests in mind. Chaga’s future use depends on our awareness. There are different methods for storing chaga, with it having retained properties for up to two years. This will depend however, on how its treated. Chaga holds moisture and should be dried correctly. Any moisture will attract mould. 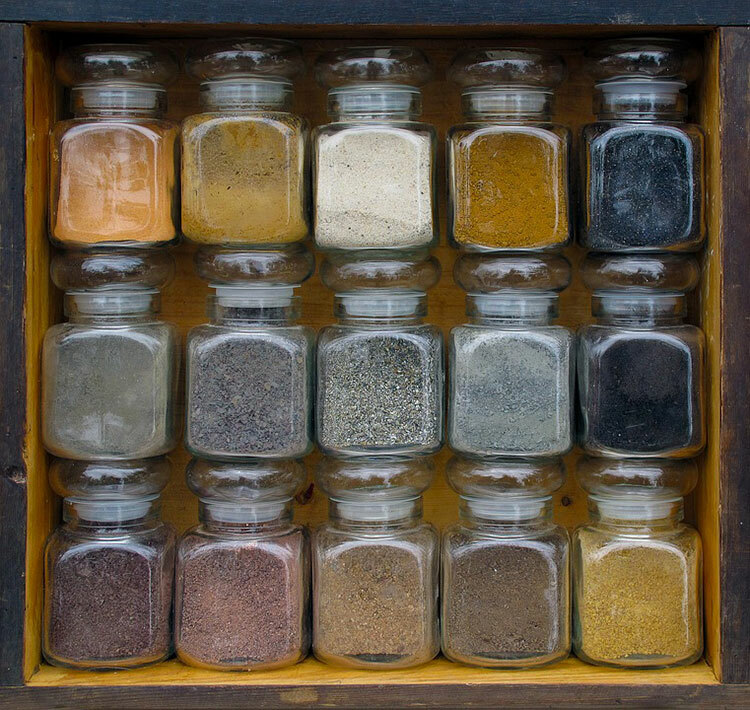 After drying it is best to store chaga chunks and ground powder in an airtight container. The best quality you can find. If you are purchasing your chaga from a reputable supplier, look for a use by date. Follow your supplier’s instructions on usability time frames. When chaga is made into a tea it can be kept in the fridge for another day. Also as a bonus chaga can certainly be frozen in ice cube trays for use in flavored iced teas. The finest chaga can be found in the clear, pollutant free environments of the Siberian mountains. Chaga is an absorber of pesticides and pollution, so the cooler, cleaner air is excellent for producing the finest. One the chaga hunter sources and harvests the mushroom, it is processed and treated to retain the best inherent qualities. Like all complementary health products, the less intervention is sometimes the best. Retaining the nutrient levels is paramount to having chaga best effects on our health. Store your chaga correctly and it will last to see many months of chaga enjoyment ahead. If you’re looking to order chaga tea online, you know that most packages of the mushrooms are quite large. For those that don’t plan on drinking the tea regularly. Or that would like to buy a large quantity of chaga to get a discount, it’s important to know how long chaga tea can last so you can plan accordingly. A large part of the lifespan of chaga depends on its storage method. If experts store the mushroom tea in a damp or well-lit place, it won’t last as long as if it was stored in a cool, dry, dark place. Like with any food, light can break it down. Also, moisture can encourage decay. Insect infestations are another consideration, so you want to use or see an airtight container. If you don’t plan on dipping into your chaga for a period of time, you may want to consider air-sealing it with an at-home vacuum sealer. By removing the air from the package you store the mushrooms in, you can eliminate insects and moisture from your storage equation. There are a number of different at-home sealers on the market to choose from. Once your chaga has a package and is ready for storage, you’ll need to decide on storing it on a shelf or in the freezer. Because experts dry it, it is shelf-stable. Some people say that freezing the mushroom helps better preserve its potency and flavor, though this is still up for debate amongst the chaga community. In general, most chaga products have a shelf life of one to two years. 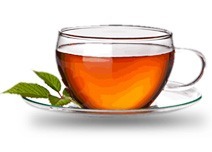 Teas that people blend may have a shorter shelf life and they often have a limit from the other ingredients in the tea. Your chaga tea will have a “Best by” date on the package that you can use as a guide. If it doesn’t, please contact the manufacturer to obtain the production date, also remember that it is illegal in the USA to sell food product without an expiration date. If you harvest chaga yourself than write the date you got the chaga on the bag and make a note to use it for up to a year after that date. In order to maximize your product’s life, make sure you take all the necessary precautions to keep it dry, cool and away from the sunlight. If you do, you’ll be able to enjoy your chaga tea for a year or maybe even longer. Chaga is a healthy alternative to other types of warm drinks. Because it is made from mushrooms that experts dry out, the tea has an exceptionally long shelf life. Ordering a large quantity now and storing it for use later can be a great way to save on your favorite variety of high-quality chaga tea. In general shelf life of the extract is two years which makes it a better product for long use. Does chaga tea go bad? It’s a concerning thought considering especially today when we are all conscious of the food and beverages consumed. Freshness and the ability to ensure we are getting the best quality are all high on the list of priorities, especially the days. Those new to chaga can learn from those with more experience. Trial and error is a great teacher, but when it comes to food, and food storage, failure to recognize good preparation can cause a negative experience. Get the best out of your chaga. Chaga has been sent to us to ensure health support. The respect shown when harvesting this King of herbs is evident in the quality of the end products. This respect and care in handling equates to longevity of the product and the best consumer experience on all levels. To ensure retention of the active, and beneficial ingredients chaga need to be harvested correctly. The wrong procedures can lead to microbial growth and poor nutritional characteristics of the harvest. After harvesting, the finest chaga should be lab tested to ensure it is sanitary. Does Chaga Tea Go Bad? Naturally occurring food spoils the same way as any processed food. As there is no preservative in natural picked foods (for good reason) they can be less longer lasting. What should you look for? Best practice is to let your senses be your guide. Any growth or powdery substance on or in the chaga may be mold. Mold on food is a microscopic fungus. Certain moulds will appear as spots or patches, and others will resemble a powdery substance. The present of any kind of mold of consumable products needs further evaluation. Some kinds can make you very ill which is the complete opposite of what chaga consumption sets out to achieve. Chaga tea once brewed can last in a variety of forms. Freeze freshly brewed tea in ice cube trays for days when you don’t have time to make tea. Naturally the ice cube can be added to smoothies, and iced drinks for that special, and interesting beverage. From the way it looks you may find it hard to believe, however chaga in its raw freshly harvested form contains moisture. It’s the moisture in chaga that can cause issues if not prepared and stored correctly. Remember, chaga tea, made from poorly preserved chaga chunks or powder, is likely to cause health issues. The best Suppliers manufacture and process the chaga products from high quality sources. Look for a company with decades of experience, and a willingness to preserve only the beneficial nutritious elements of chaga. Look for pure, and potent chaga. The best companies will help you achieve better health. Not simply by selling a product, but through a dedication to harvesting all the way through to advice and support, ca you tell the difference between suppliers. Caution and preparedness is best to avoid the undesirable. Chaga is a fantastic health booster. Let’s keep it that way. How long is harvested Chaga potent before losing medicinal properties? After you harvested chaga and store properly it is good for 2 years. I have stored my Chaga nuggets in the freezer in a paper bag for about 9 months. Would it still be okay to use? It depends on harvesting date. If these chunks were harvested in 2015 than i would not use them. If you bough chaga chunks from us please look on expiration date on the back of the package, if the product is expired, than obviously you can’t use them. If you bought chunks from other company than it would be up to you to decide. Thank you for your question. We don’t recommend to store raw chaga more than two years. But if you want to use it you would need to check how dry chunks are and if there is any contamination. But general advice would be not to use it. Thank you!